The 3 axle, 60 ton steel flatbed semi trailer is designed entirely of a lightweight, high strength steel. This makes it lighter and stronger than other traditional transportation trailers made of other materials, with a weight as light as 2 to 3 tons. Main beam The height of the beam is500mm, upper plate is 14mm, down plate is 16mm, middle plate is 8mm. 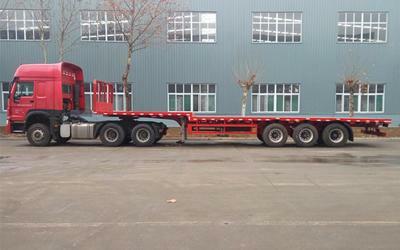 Sanxing has been manufacturing heavy duty vehicles and special vehicles since 1994. 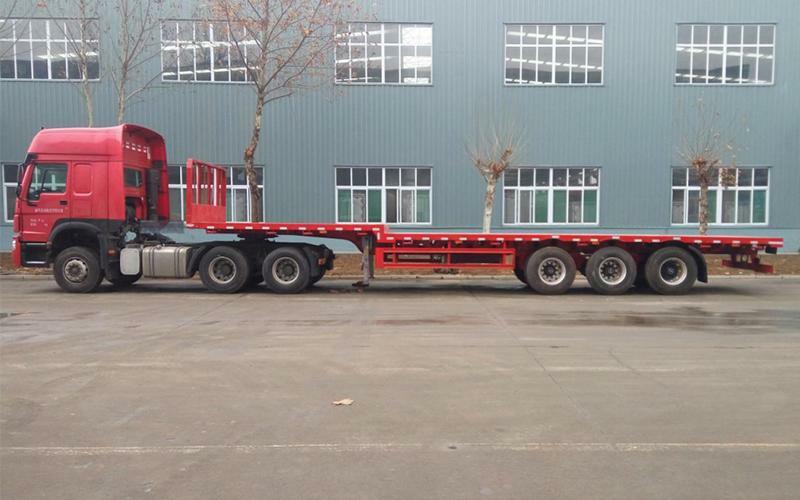 Besides the 30T to 60T steel flatbed trailer, we offer a wide range of 3 axle trailer, aluminium alloy tank trailer, stainless steel tank trailer, flatbed trailer and so on. From the raw material selection to manufacturing process, we have rich experience and offer high quality semi-trailers and other special transport vehicles with custom solutions.